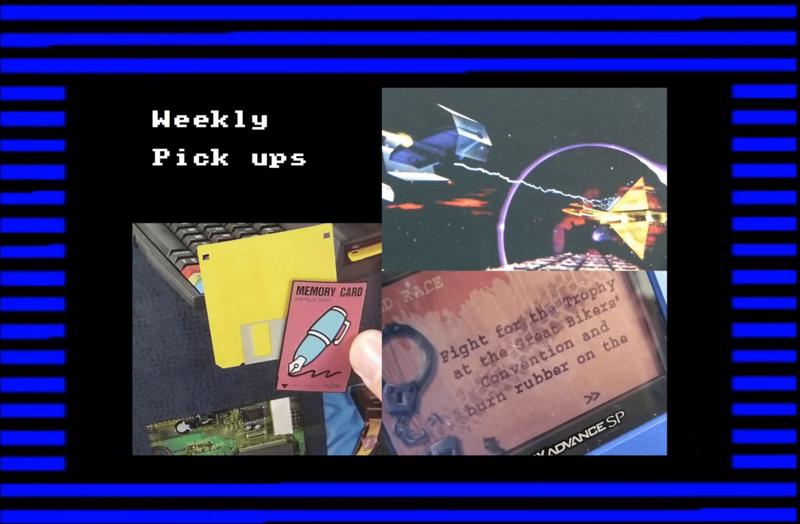 Gareth and Matt enjoy a warm and fuzzy recollection of days gone by in this the latest instalment of the Retro Tech Addicts podcast. As this is the first show of 2014 and as we say goodbye to 2013 we do a retro year in review and look at 1993. This was an important year in both the PC and console market with companies such as Nvidia emerging for the first time and several manufacturers having significant releases. This year saw the launch of one of Gareth’s all-time favourite consoles, the Atari Jaguar. I’m back with a long overdue look at some of my recent pick ups from the days gone by. This time there is a follow-up to a piece of kit I stumbled upon a month ago, the Amstrad NC200 is the big brother of the NC100 complete with new features and some top notice goodies included in the package. Adding to my Gameboy hardware collection I have picked up a couple of different generation Gameboys complete with a couple of games. And finally the jewel in the crown is another gem for the Atari Jaguar collection, a game that was not fully released at the time of the Jaguar’s demise, brace yourself! Continuing his retrospective of the Amstrad range Gareth moves onto the second 8-bit computer produced by Amstrad, the CPC 664. This rare machine was produced for a very short period and now attains the status of a collector’s item. Luckily Gareth has one in his collection. The Amstrad CPC 664 sold well in it’s day however was superseded by the CPC 6128 quite quickly as the 64kb of memory onboard did not deliver what people were looking for. The CPC 6128 became almost as iconic as the CPC 464 and the CPC 664 was ultimately forgotten. Until today! Compared to the CPC464, the CPC664’s main unit has been significantly redesigned, not only to accommodate the floppy disk drive but also with a redesigned keyboard area. Touted “ergonomic” by Amstrad’s promotional material, the keyboard is noticeably tilted to the front with MSX-style cursor keys above the numeric keypad. 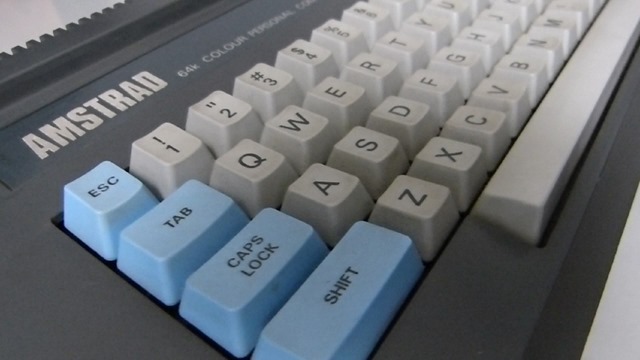 Compared to the CPC464’s multicoloured keyboard, the CPC664’s keys are kept in a much quieter grey and pale blue colour scheme. The back of the CPC664 main unit features the same connectors as the CPC464, with the exception of an additional 12V power lead. Unlike the CPC464’s cassette tape drive that could be powered off the main unit’s 5V voltage, the CPC664’s floppy disk drive requires an additional 12V voltage. This voltage had to be separately supplied by an updated version of the bundled green screen/colour monitor (GT-65 and CTM-644 respectively). The CPC664 was only produced for approximately six months. In late 1985, when the CPC6128 was introduced in Europe, Amstrad decided not to keep three models in the line-up, and production of the CPC664 was discontinued. Gareth takes you on a brief tour of the classic 80’s 8-bit computer in this new series of videos featuring a loving tribute to tech from the past in a bite sized format. 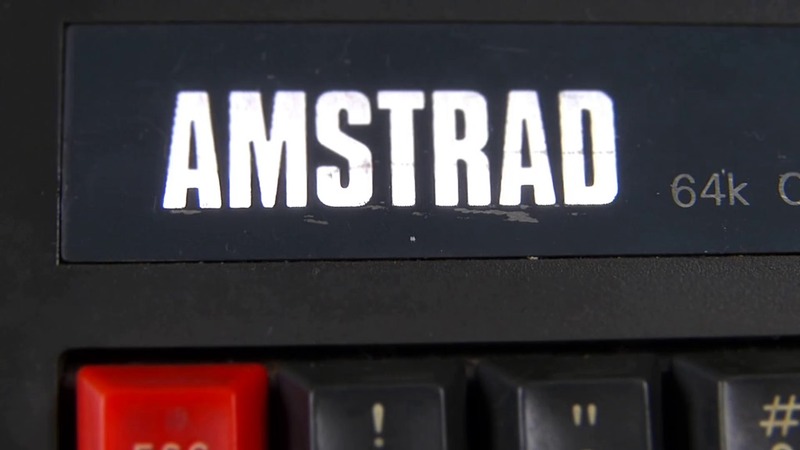 The Amstrad CPC 464 was Gareth’s first home computer that started a passion for the cheap but somewhat reliable computer company, Gareth has put together a fairly modest collection over the years and hopes to give you a guided tour of each piece. The CPC series was pitched against other home computers primarily used to play video games and enjoyed a strong supply of game software. The comparatively low price for a complete computer system with dedicated monitor, its high resolution monochrome text and graphic capabilities and the possibility to run CP/M software also rendered the system attractive for business users, which was reflected by a wide selection of application software. The CPC models’ hardware is based on the Zilog Z80A CPU, complemented with either 64 or 128 kB of memory. Their computer-in-a-keyboard design prominently features an integrated storage device, either a compact cassette deck or 3″ floppy disk drive. The main units were only sold bundled with a colour or monochrome monitor that doubles as the main unit’s power supply. Additionally, a wide range of first and third party hardware extensions such as external disk drives, printers, and memory extensions, was available.